Rice and agriculture is not only a vital source of food in Indonesia, but of economic well-being as well. 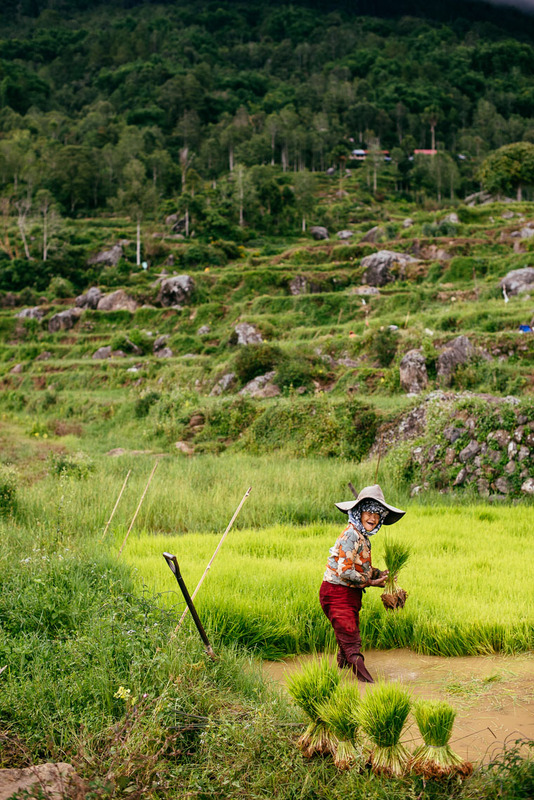 The climate in Sulawesi allows rice to be grown all year and is harvested by men, women, and children alike. Like life, technology moves slowly here and a short hike through a rice paddy will likely be met by locals using ancient techniques throughout the farming process.